Club Coach for Midwest. Les Mills Fitness. I have completed 17 marathons............One being BOSTON!!! Hockey games and cheerleading. We had some fun times!!! Parties at Michelle Langtons!!! DO MORE!!! Not be afraid to try things and just get out and socialize more!!! Jodi Anderson Roper has a birthday today. 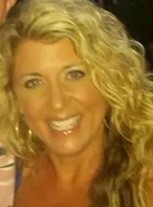 Jodi Anderson Roper changed her profile picture. Jodi Anderson Roper updated her profile. View. Jodi Anderson Roper joined via Class Connection Facebook app. Running the Disney Marathon...........Iam the one waving at the camera!!! LOL! !